Win Amazing Prizes on Giveaway Wednesday! I have two amazing giveaways going on my food blog and I am using the Rafflecopter widget for the first time to make it easier for everyone to enter. If you love giveaways, you’ll love today’s post because besides from my two, I have provided links to other giveaways on the blogs. Since I started hosting giveaways, I have also started entering quite a few of them and I tell you, there are some great giveaways out there and YES, they are all legitimate (I know there’s still skeptics out there), and yes the chances of winning are very good. I even ended up being a follower of these blogs and have gotten to know their owners. So take note of these giveaways, and enter them soon! Some of them don’t last long. If you haven’t tried the natural cleaning products from Seventh Generation yet, here is your chance to try them out. 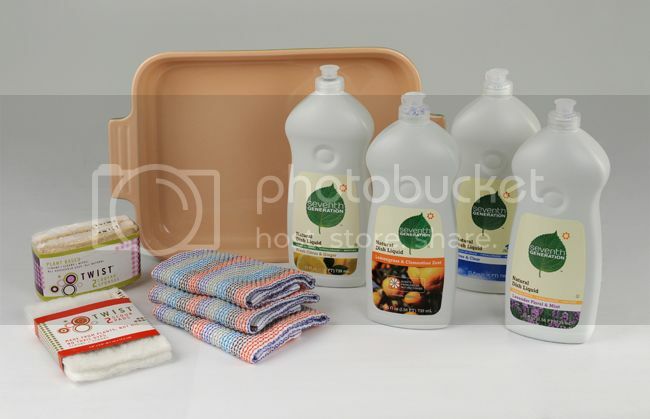 Not only do you get 4 full sized dishwashing liquid, you get that beautiful Le Creuset baking dish, dish cloths and natural sponges. You’ll love them. I assure you! And if that’s not enough for you and you want some more goodies, don’t fret. There’s plenty more. Here’s a list of giveaways that I’ve entered so far and will add more to this list as I go through my list. I like to run short giveaway periods so this is for THIS WEEK ONLY. 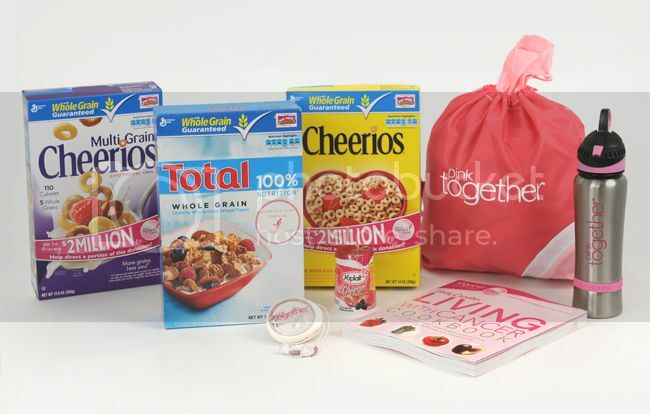 This giveaway will end on Monday, October 31, make sure you get over on the food blog soon. The cookbook, you just know I’d be all over that one! The recipes are great and I already have some bookmarked to try out. Also in the cookbook contains great information about dealing with cancer and the side effects that come with treatment. Whether you’re going through therapy or know someone who does, I’m sure some of the information and tips in the book will help you. Don’t think though that the recipes are only for cancer patients, they are all delicious looking even for us who are lucky enough to just want something good to eat. 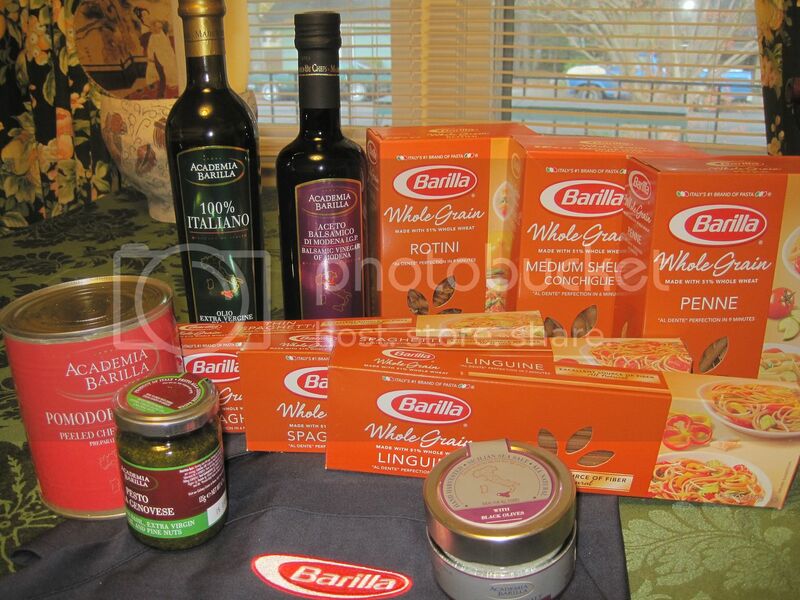 We went to Walmart this past weekend and while there, I decided to check if they had any Olivari Olive Oil. I received some coupons and a sample of the Extra Virgin Olive oil for the giveaway that I’m hosting on my food blog and their literature says that they also make flavored olive oils. So that’s what I was looking forward to getting with my coupons, and so far Walmart is the only store that carries this brand. I was disappointed to find though, that the Walmart store we went to only carried the ‘Classic’ Olive Oil. So I got a bottle and held on to my other coupon to get a flavored one when I find it. 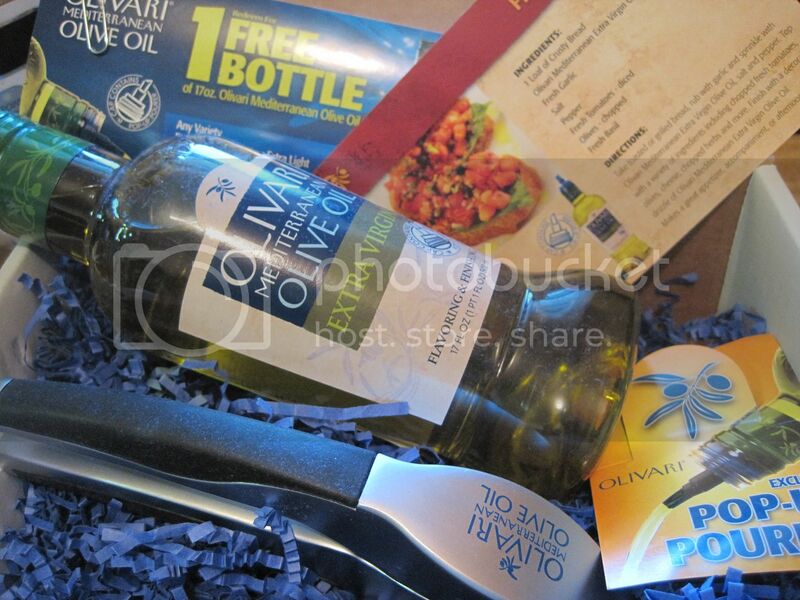 If you would like to try Olivari Olive oil, make sure to enter the giveway for this Kitchen Essentials Kit that I am giving away on Cooked From the Heart. Click on the photo above to go to the giveaway post. I’m giving away $50! and Time-Saving Tips! To celebrate the season, I am giving away a $50 gift card as part of the Bank of America Blog Tour! All you have to do is leave me a comment on the giveaway post (not here) to let me know how you take back some time during this holiday season. As part of the tour, Bank of America shares the following tips on how to save time over the holidays. For more tips on saving time and money, check out the Tips and Information section of their website. No more backtracking! A lesser-known “route planner” feature on MapQuest helps you save both time and money by mapping out an entire journey – with multiple stops – all in one convenient step. You can add up to 26 destinations along any route, and the tool gives you the fastest route. Since launching in July, it has saved North Americans more 3.2 million miles! Road trip rules: Seasoned holiday road-travelers live by three simple rules: 1) invest in a quick pass to whiz past hour-long lines at the tolls, 2) plot out where to get the cheapest gas along the way by using a “gas prices” feature on MapQuest, and 3) pre-pack energy-boosting snacks and beverages to avoid crowded rest stops and fast-food joints. Babysitting or playdate exchange: Gain kid-free time to make your way through your holiday to-do list by coordinating a playdate exchange with another family. Find a holiday helper: Save time and relieve stress by finding a holiday helper to assist with household chores and last-minute errands. Don’t hesitate to ask your normal sitter, cleaning person or a neighborhood college student who is home for the holiday stretch. And don’t be afraid to delegate household chores to your own children home for winter break! Make sure it’s in stock: Nothing wastes more time than driving from store-to-store in search of a specific item. Do yourself a favor and call ahead or better yet check store inventory online before you leave home. Many major e-tailers offer customers the convenience of purchasing items online and then picking them up in-store…some with express pick-up lines. Wrap it up: Socialize and wrap up your holiday duties by inviting your friends over to chat, nosh and yes, wrap gifts! Everyone brings a roll of wrapping paper, ribbons and other decorative elements to share with the group. Also, watch for “free gift wrapping” promotions from online merchants. Sometimes you may have to spend a certain amount to get the promotion to kick in, but it may be worth it given the time you’ll save on the backend. Do you have any Time-Saving Tips to share? Visit my review blog, Found Not Lost and tell me about it. You may win $50! Tomorrow is the last day to enter the Mozaik Giveaway on our food blog, Cooked From the Heart. 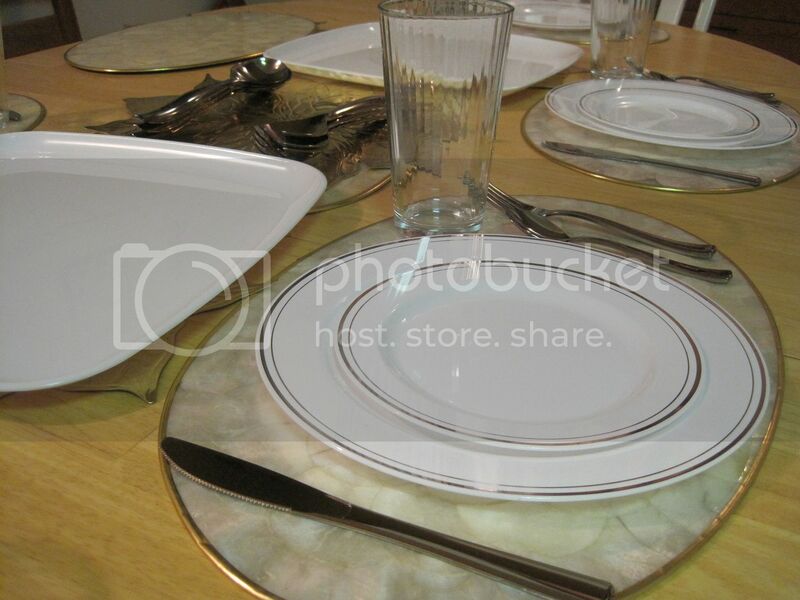 If you’d like to win this Mozaik dinner ware with serving platters, bowls and utensils, just click on the image below to go to the giveaway post. You only have until midnight tomorrow, and there aren’t many entries yet, so get on over there! Your chances of winning are very good.